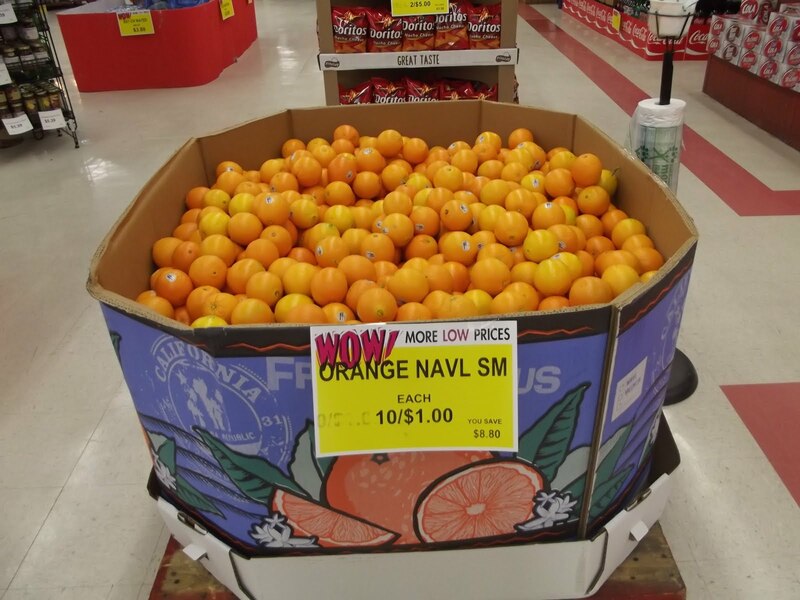 Beginning this week at all three Sooner Food stores shoppers will find our new WOW produce pricing program. Under WOW, we will select a number of high quality produce items each week and put a special price on these items. WOW simply provides one more avenue for shoppers to stretch food dollars and gives Sooner Foods one more opportunity to express our appreciation for you shopping with us. This week WOW pricing is in effect from January 15th through January 20th or while supplies last. We have some dynamite savings under this program this week and want to share them with you. Here is this week's WOW items. Snack Size Sweet Seedless Oranges. We taste tested these oranges when they arrived this morning and they are definitely the sweetest of the season and we are offering them at at an unbelievable price. We also have the following items to offer. Red Ripe Roma Tomatoes just 69 cents a lb. Jumbo Iceberg Lettuce just $1.29 a head. Golden Ripe Bananas 54 cents a pound. Take advantage of these savings this week and next week we'll bring you some more WOW!